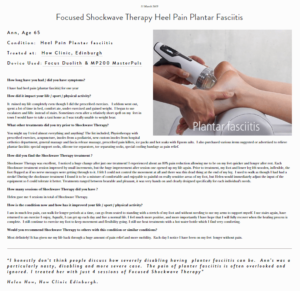 Radial shockwave Therapy If the first-generation pressure wave devices which was developed in the late 1990s. Radial shockwave therapy contrast to the traditional focus shockwave therapy as it spreads more widely over the muscles and tissues. Focus shockwave therapy is about a hundred times higher and the pulse duration of the focus way being 1000 times shorter. Nowadays, both focus shockwave therapy and radial shockwave therapy have been clearly demonstrated to be most useful in the treatment of several musculoskeletal disorders.Over the years, many randomised controlled studies have proven the effectiveness and safety of musculoskeletal shockwave therapy. 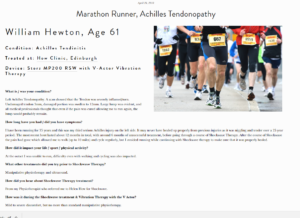 Therefore shockwave therapy has currently to be addressed in the scientific best verified treatment modalities for several musculoskeletal disorders including overload injuries in athletes. Shockwaves therapy today is now increasingly used by our professional sports clubs as part of their exercise and sports rehabilitation and strengthening and conditioning. One of the reasons is that certain injections such as corticosteroid injection have shown to have short-term effect in reducing pain and may in fact cause weakening of the connective tissue. 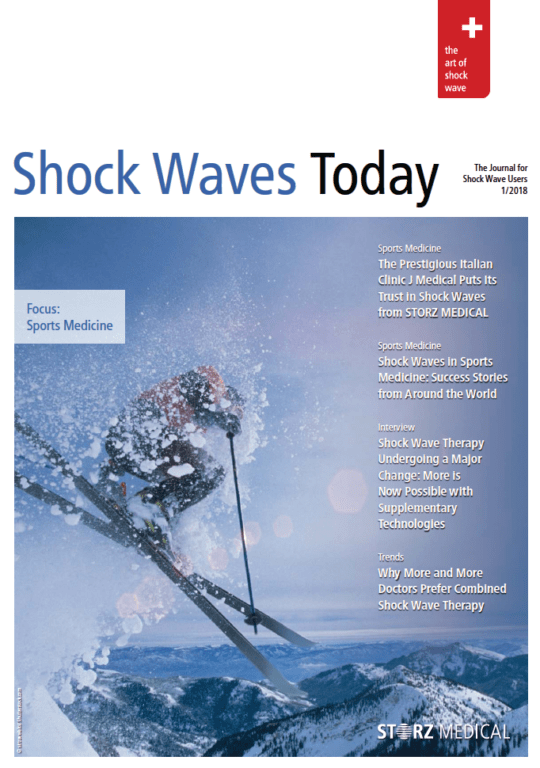 Shockwaves therapy was introduced into sports medicine and competitive sports over 20 years ago. 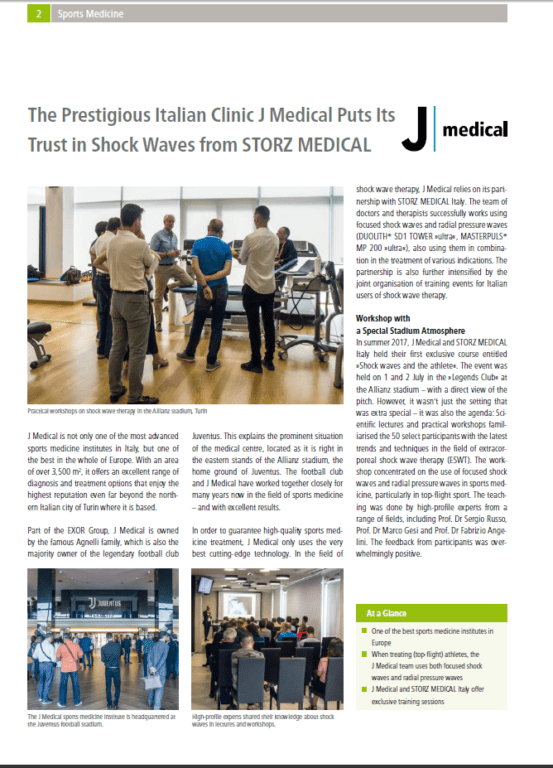 Today it is used in many countries not even in Europe but around the globe, over the years, many randomised controlled studies have proven the effectiveness and safety of both focus shockwaves and radial pressure ways for the treatment of several musculoskeletal disorders. 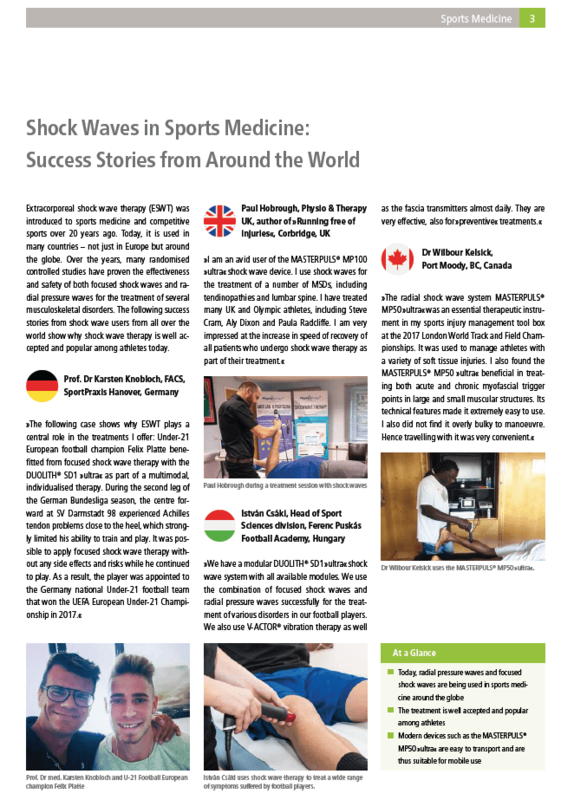 The following success stories from the shockwave users from all over the world show why shockwave therapy is a well accepted and popular among athletes today.